Description Take a journey into space on this Space Highway. 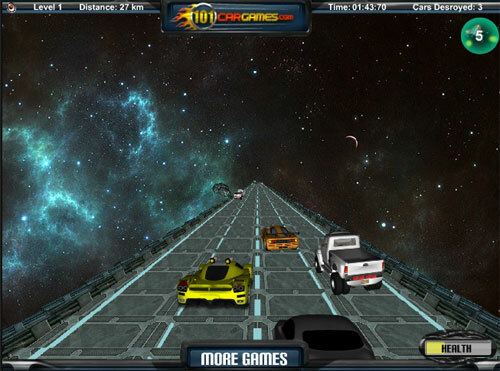 Choose your powerful armed car and get ready to race. Pick ammo from the road and destroy all your enemies. Try to reach safety to the finish line before is too late.